MRX 720 is a 7.2 channel AV receiver featuring ARC, ALM, 4K pass-through, Dolby Atmos and DTS:X technology; Also available in 5.2 and 11.2 channel models. Earn 2990 loyalty points when you order this item. Anthem MRX 720 is a 7.2 channel AV receiver employing proprietary Anthem Room Correction technology, Dolby Atmos and DTS:X powered by a continuous 140 Watts per channel. 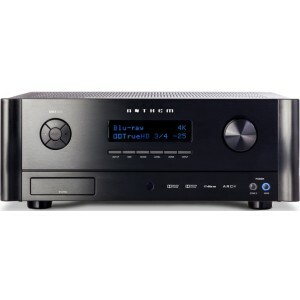 It gives the detailed premium audio expected from hi-fi separates and features the multi-channel versatility of Anthem’s 3rd Generation MRX range of AV receivers, renowned worldwide for their exceptional audio quality, potent power handling and simplicity with which to integrate into a home entertainment system. The easy-to-use ARC Kit supplied with each ARC-Ready component lets you customise loudspeakers for your unique listening space in just a few simple steps. It features a software and mic calibration, professional standard mic stand and premium connectors. A windows PC with CD drive is necessary. 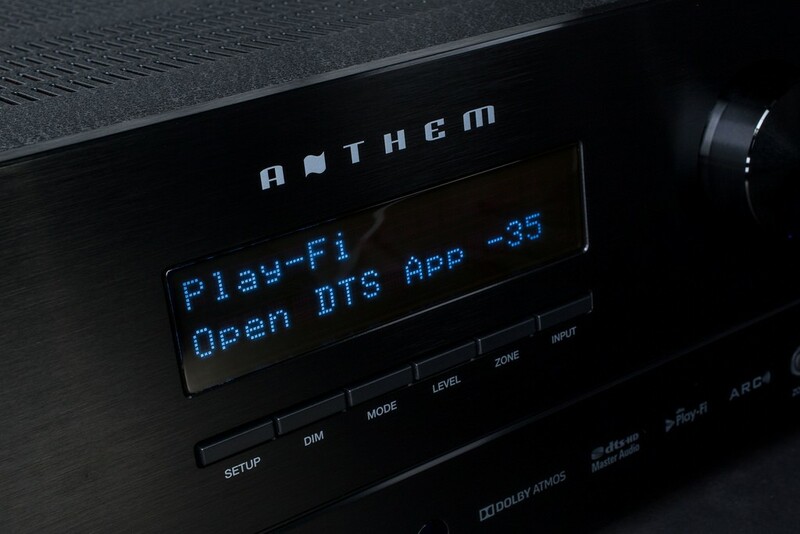 If you want instant access to your digital audio library anywhere at home, Anthem’s MRX Series with DTS Play-Fi technology is an ideal, high-performance method of delivery. Anthem MRX Series can take complete dynamic advantage of the greater-than-CD-quality sound provided by DTS Play-Fi streaming technology. Partnered with the leader in Wi-Fi streaming, DTS Play-Fi supports a host of high-quality file formats. Controlled straight from a smart device or PC in any operating firmware, the “Open Ecosystem” makes it simple to stream music and to supplement wireless streaming devices on the go. The entire family can access personal digital audio libraries from anywhere in the home with the touch of a screen. Unleash endless choices from online music streaming platforms from any device, Android or iOS mobile or PC, with several connectivity options. To rectify this, ARC (Anthem Room Correction) is deployed enabling audio equipment to attain a more neutral sound no matter what the surroundings. Digitally benchmarking a room’s sound to the lab standard, ARC measures the reaction of each speaker compared to the listening area then uses complex algorithms to remove the negative effects of obstacles, adjusting response and adjusting phase effects for finest performance. Dolby Atmos is a radical innovative audio technology that brings you astonishing audio experiences, packing your room with entrancing sound that originates from all directions counting overhead for astounding clarity, elements and depth. The explicit sounds of people, music and objects pass around you in multidimensional space, so you are immersed in the action with paramount expressive impact. Dolby Atmos weaves the acoustic story to match the events that are unfolding on screen. Unlike MRX520, MRX720 includes Dolby Atmos but does not have a built-in power amplifier with speaker outputs for these Atmos channels, relying instead on connection from the Atmos RCA channel outputs to an external power amp. For a feature-packed AV receiver hosting Atmos speaker outputs for power amplifier, please see the MRX1120. DTS:X is the latest audio codec that leverages object-based audio to permit fresh sound experiences in interactivity and immersion. DTS plays all DTS formats including Digital Surround and HD Master Audio. A sound object is the amalgamation of the waveform encompassing the audio and metadata which signifies the spatial placement in which it should be heard. Audio objects free content from exact speaker layouts for best listening experiences. Similar to the entry-level MRX 520 and flagship MRX 1120, the 7 channel MRX 720 is built with a sole focus on sound quality instead of aiming to check as many features off as possible at the most reasonable price. An audiophile-grade choice for movies and music.